History on fire: Alexander Herzen, My Past and Thoughts, University of California Press, 1982 (completed 1855, trans. Constance Garnett) 5; https://www.liberation.fr/france/2019/04/16/les-braises-tombaient-sur-tout-le-parvis-de-la-cathedrale_1721609; https://www.elysee.fr/emmanuel-macron/2019/04/16/adresse-du-president-de-la-republique-a-la-nation; Alexander Martin, Enlightened Metropolis: Constructing Imperial Moscow, 1762-1855, Oxford University Press, 2013, 216-17. The cost of hacking an election: David E. Hoffman, The Oligarchs: Wealth and Power in the New Russia, Oxford, 2002, ch. 13; Michael Kramer, ‘Rescuing Boris’, Time, 15 July 1996; Thomas A. Lippman, ‘Clinton, Yeltsin Agree on Arms Cuts and NATO’, Washington Post, March 22 1997; Kaeten Mistry, ‘The Case for Political Warfare: Stategy, Organization and US Involvement in the 1948 Italian Election’, Cold War History 6:3 (2006). The Kaiser, the Tsar, and the President: Christopher Clark, Kaiser Wilhelm II: A Life in Power, London, 2009, 3, 12; Dominic Lieven, The End of Tsarist Russia: The March to World War I and Revolution, New York, 2015, 128-38. Brexit: the view from the Soviet Union: Izvestiia March 15, 1991, 3; Izvestiia March 7, 1991, 1-2; Izvestiia March 23, 1991, 2. Stalin and Hiroshima: Jonathan Haslam, Russia’s Cold War: From the October Revolution to the Fall of the Wall, New Haven, CT, 2011, 62-3; Kai Bird, The Color of Truth: McGeorge Bundy and William Bundy: Brothers in Arms, New York, 1998, 94; George F. Kennan, The Kennan Diaries (ed. Frank Costigliola), New York, 2014, 642. How Soviet maths might yet destroy capitalism: Paul R. Josephson, New Atlantis Revisited: Akademgorodok: The Siberian City of Science, Princeton University Press, 1997, 148-9; Michael Lewis, Flash Boys: Cracking the Money Code, London, 2014, 167-8. The Panama Papers: Andrei Soldatov and Irina Borogan, The Red Web: The Struggle between Russia’s Digital Dictators and the New Online Revolutionaries, New York: Public Affairs, 2015; Gregory Afinogenov, ‘Andrei Ershov and the Soviet Information Age’, Kritika: Explorations in Russian and Eurasian History 14:3 (2013): 561-84; Slava Gerovitch, ‘InterNyet: why the Soviet Union did not build a nationwide computer network’, History and Technology 24:4 (2008): 335-50. War and Peace: did you like it? Leo Tolstoy, War and Peace, London: Penguin, 1982 (Rosemary Edmonds translation), 1200-01. What do English children think about Russia’s past? Philip Steele, Russia and Moscow, London: Franklin Watts, 2013. Is Vladimir Putin a conservative? Richard Pipes, Russian Conservatism and its Critics: A Study in Political Culture, New Haven and London: Yale University Press, 2005. Stalin, the weak dictator? Or, where was Putin? James Harris, ‘Was Stalin a Weak Dictator?’ Journal of Modern History 75:2 (June 2003): 375-86. The Russian Empire in Siberia: William Sunderland, ‘Ermak Timofeevich’ in Stephen M. Norris and William Sunderland (eds), Russia’s People of Empire: Life Stories from Eurasia, 1500 to the Present, Bloomington, IN: Indiana University Press, 2012; Alexander Etkind, Internal Colonization: Russia’s Imperial Experience, Cambridge: Polity, 2011; Janet M. Hartley, Siberia: A History of the People, New Haven and London: Yale University Press, 2014 (on Iukagirs, 38); on ‘making difference work’: Jane Burbank and Frederick Cooper (eds), Empires in World History: Power and the Politics of Difference, Princeton and Oxford: Princeton University Press, 2010. Blair and Putin go to the pub: Tony Blair, A Journey, London: Hutchinson, 2010, 243-5. Gulag outpost, welfare city: Alan Barenberg, Gulag Town, Company Town: Forced Labor and its Legacy in Vorkuta, New Haven and London: Yale University Press, 2014. The end of the Soviet Union: the end of social citizenship? : on the survival of the company town today and the way its Soviet past is remembered, see Jeremy Morris, ‘Low wages and no dignity: Russian workers reflect on the stark post-Soviet choices in blue-collar employment’, International Labour and Working-Class History 84 (2014): 271-7; on the industrial enterprise during the 1990s transition, see Simon Clarke, The Development of Capitalism in Russia (Abingdon: Routledge, 2007). 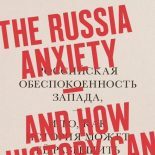 Did human rights exist in the USSR: Mark B. Smith, ‘Social rights in the Soviet dictatorship: the constitutional right to welfare from Stalin to Brezhnev’, Humanity 3:3 (2012): 385-406; ‘The Dictatorship of Reason: Aleksandr Vol’pin and the Idea of Rights under “Developed Socialism”, Slavic Review 66: 4 (2007): 630-663. Why today’s diplomats should read about the Cultural Cold War: Richard Pipes, ‘Detente: Moscow’s View’ in Pipes (ed. ), Soviet Strategy in Europe, London: Macdonald and Jane’s, 1976, p. 12; for an example of recent scholarship on the Cultural Cold War, see Sari Autio-Sarasmo and Katalin Miklossy (eds), Reassessing Cold War Europe, Abingdon: Routledge, 2012; Jeremy Smith has written about winemaking, Lewis Siegelbaum about the car, and Mary C. Neuburger about tobacco. How the Scottish referendum helps us understand Russia: Dominic Lieven, Empire: The Russian Empire and its Rivals from the Sixteenth Century to the Present, London: Pimlico, 2003, 387; Geoffrey Hosking, Rulers and Victims: The Russians in the Soviet Union, Cambridge, MA: Belknap Press of Harvard University Press, 2006. Vladimir Putin meets Neville Chamberlain: Alexander Titov, ’19th century diplomacy can help deal with 21st century Russia’, The Conversation, September 11 2014 (see link in post); David Reynolds, Summits: Six Meetings that Shaped the Twentieth Century, London: Penguin, 2008, ch. 2 (p. 95 for Churchill on Chamberlain); R. Gerald Hughes, ‘The ghosts of appeasement: Britain and the legacy of the Munich Agreement’, Journal of Contemporary History 48:4 (2013): p. 715 for Blair on Chamberlain). Doctor Zhivago fights the Cold War: Peter Finn and Petra Couvee, The Zhivago Affair: The Kremlin, the CIA, and the Battle over a Forbidden Book, London: Harvill Secker, 2014, 112. 256; Serhii Plokhy, The Last Empire: The Final Days of the Soviet Union, London: Oneworld, 2014, 111. The Cold War surveillance state — and AJP Taylor: Adam Sisman, AJP Taylor: A Biography, London: Sinclair-Stevenson, 1994, 266. Hugh Trevor-Roper in the USSR: Richard Davenport-Hines (ed. ), Letters from Oxford: Hugh Trevor-Roper to Bernard Berenson, London: Weidenfield and Nicolson, 2006, 236; Richard Davenport-Hines and Adam Sisman (eds), One Hundred Letters from Hugh Trevor-Roper, Oxford: Oxford University Press, 2014, 64-5, 164-5, 385. Two votes: 1946 and 2012: Mark B. Smith, ‘Popular sovereignty and constitutional rights in the USSR’s Supreme Soviet elections of 1946’ in Ralph Jessen and Hedwig Richter (eds), Voting for Hitler and Stalin: Elections under 20th Century Dictatorships, Frankfurt: Campus Verlag, 2011; Andrew Wilson, Virtual Politics: Faking Democracy in the Post-Soviet World, New Haven, CT: Yale University Press, 2005. Elections without choice: Mark B. Smith, ‘Popular sovereignty and constitutional rights in the USSR’s Supreme Soviet elections of 1946’ in Ralph Jessen and Hedwig Richter (eds), Voting for Hitler and Stalin: Elections under 20th Century Dictatorships, Frankfurt: Campus Verlag, 2011. The Jews of Ukraine and the Soviet past: Rasma Karklins, ‘Ethnic politics and access to higher education: the Soviet case’, Comparative Politics 16:3 (April 1984): 227-94; Yuri Slezkine, The Jewish Century, Princeton, NJ: Princeton University Press, 2004. Russian patriotism in Crimea: Tsar, Stalin, Putin: Boris Voyetekhov, The Last Days of Sevastopol, London: Cassell, 1943, vii, 977; Leo Tolstoy, The Sebastopol Sketches (trans. David McDuff), London: Penguin, 1986, 46, 136, 145. The historical origins of Vladimir Putin (1): John McCain, ‘Obama has made America look weak’, New York Times, 14 March 2014; Anna Arutunyan, The Putin Mystique: Inside Russia’s Power Cult, Newbold on Stour: Skyscraper, 2014; J. Arch Getty, Practicing Stalinism: Bolsheviks, Boyars and the Persistence of Tradition, New Haven, CT: Yale University Press, 2013. Risk and danger in the Soviet dictatorship: Mark B. Smith, ‘The withering away of the danger society: the pensions reforms of 1956 and 1964 in the Soviet Union’, Social Science History (forthcoming). Fun for rich kids and poor kids: author’s archival research. Property and Communists: Mark B. Smith, Property of Communists: The Urban Housing Program from Stalin to Khrushchev, DeKalb, IL: Northern Illinois University Press, 2010, 36, 155. The workers’ state: Mark B. Smith, ‘The life of the Soviet worker’ in Simon Dixon (ed. ), The Oxford Handbook of Modern Russian History, Oxford: Oxford University Press, forthcoming. The open road: Lewis Siegelbaum, Cars for Comrades: The Life of the Soviet Automobile, Ithaca, NY: Cornell University Press, 2008; Colin Thubron, Among the Russians: From the Baltic to the Caucasus, London: Penguin, 1983; author’s archival research. The Olympic Games and the welfare state: N. G. Tomilina (ed. ), Piat’ kolets pod kremlevskimi zvezdami: Dokumental’naia khronika Olimpiady 80 v Moskve, Moscow: MFD, 2011, 74, doc. 16; 82-3, doc. 20; http://www.hrw.org/node/113248.